The National Cattlemen’s Beef Association (NCBA), the country’s oldest and largest organization representing the cattle industry, has a strong presence across the country and ensures the forceful, unified voice of America’s beef producers is heard. In an effort to add strength in numbers, NCBA’s Top Hand Club is hosting its March Membership Madness drive during the month of March. Initiated in 1982, the Top Hand Club is NCBA’s member-recruit-a-member program that recognizes volunteer leaders for their commitment in growing a strong national association. To become a Top Hand Club member, individuals must recruit at least three new NCBA members. To remain in the club, members must recruit two new members each subsequent year. The program is sponsored by Case IH and Roper/Stetson. NCBA President Scott George, a dairy and beef producer from Cody, Wyo., said it’s important for NCBA members to urge cattle producers to join the organization, which is producer-owned and member driven. During the March Membership Madness drive, NCBA members are encouraged to recruit at least three new organization members through Mar. 31. Those who meet the challenge will become a Top Hand Club member and receive a Top Hand Club hat and glove set. The top recruiter during the month of March will also receive a Roper leather jacket. 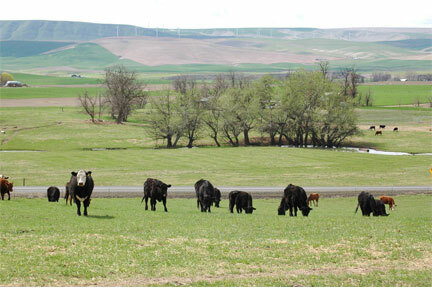 For complete information on the campaign and to obtain a recruitment packet, visit www.beefusa.org or call 1-866-BEEF-USA.